Social media is a great tool for businesses who want to promote themselves online, as it allows them to reach their audiences where they spend their time online. But there can come a time when your social media is just not working. You don’t know what else to post to get your audience involved. People aren’t following you or interacting with you. You’re not getting traffic. Don’t worry – it can happen to anyone, and you can always bring back the glory days. 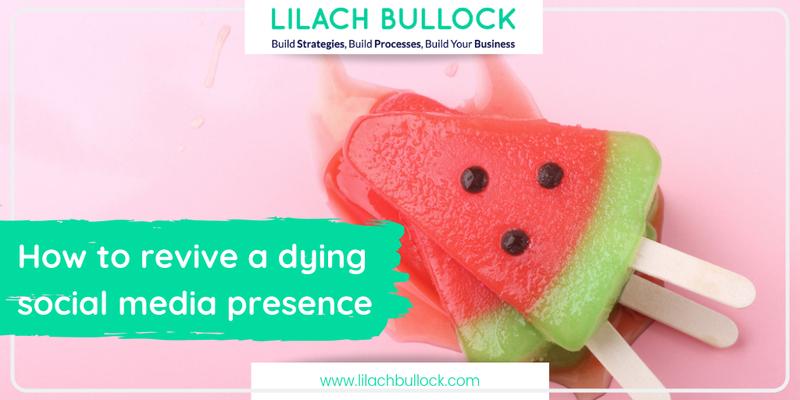 In this blog post, I’m going to show you how to revive a dying social media presence. The first thing to do is to look into your social media analytics to get a better idea of where you’re going wrong and what is working. Your best and worst performing posts – what is the common thread? Traffic – where is your social media traffic coming from and where is it going (specific pages on your website)? Engagement: what posts are people engaging with? How are they engaging? Follower numbers: how are they evolving over time? Leads: have you generated any leads? You can use your social media management tools’ analytics to measure your social media success, if you’re using one, or you can use each social networks’ built-in analytics, such as Twitter Analytics and Facebook Page Insights. Another thing to look into is when your audience is most active. Your updates can get lost very easily, and if your audience isn’t online to see them as you post them, they probably won’t see them at all when they log in later. Going forward, you should try to set goals for your social media marketing and then track your results every month. This will ultimately help improve your social media presence, as it will allow you to gain a better understanding of what types of updates generate action and which don’t – information that you can then use to improve your social media marketing the next month, and the next…and so on! 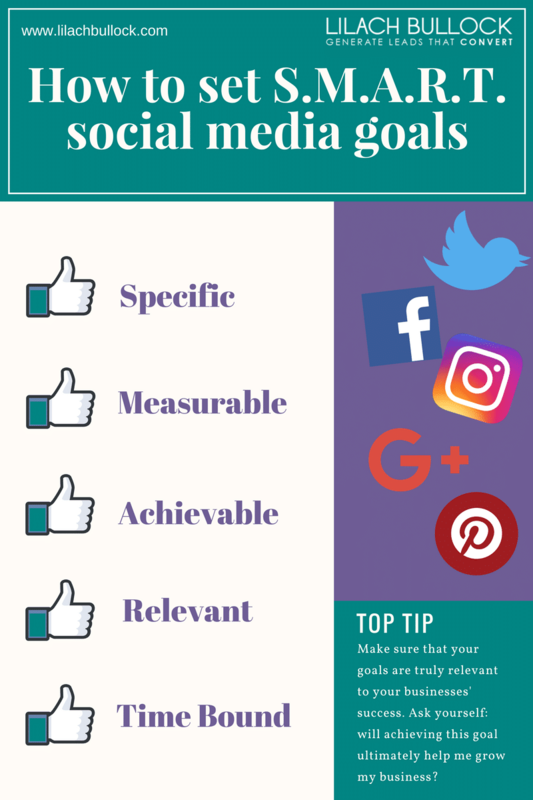 As I mentioned before, setting goals is important as it can help improve your social media marketing. When you have a clear goal to reach, you can better strategize your updates, in order to help you reach it. There are other ways of setting goals, but what’s important to remember here, no matter which technique you use, is that your goals need to be relevant, they need to be measurable and you need to make sure they are achievable. You should always set a clear deadline for your goals and once it’s reached, start measuring your results. To get people to follow you, engage with you and generally, to get them to take action, you need to engage as well. The best way to do this, especially if you don’t really have the audience to engage with yet, is to use social media monitoring/listening to find conversations to join in. Plus, social listening also allows you to better understand what people are talking about in your niche, what types of content they like, what they engage with – and by understanding this, you’ll be able to improve your own social media marketing. Most social media management tools, like Agorapulse, Sprout Social or Hootsuite, have a monitoring feature. 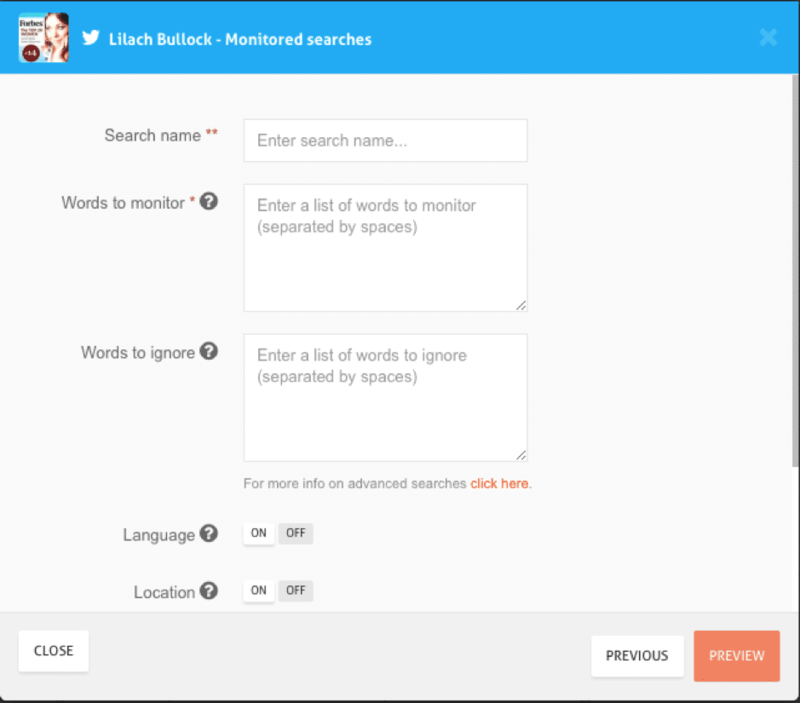 Simply start monitoring relevant keywords from your niche, and check your monitored items regularly, preferably daily, so that you can join in any conversations that are happening right then. What types of updates are your posting on your social profiles? Are you sticking to your business, your blog and the occasional retweet/share? If your social media isn’t working, then one of the causes could be that you’re not posting the types of updates that your audience wants to see – or engage with. Start looking into different ways that you can diversify your updates: videos, GIFs, quote images, contests and polls, etc. You should also try to leverage any holidays – including any events in the same vein as “pancake day”. They tend to generate a lot of activity on the day, so it gives you an opportunity to reach more people; you could create a funny image, a GIF or a short video to help celebrate the day. What are your competitors up to on social media? Are they experiencing problems getting people to follow them, engage with them and click on their links? Or is their social media thriving? While you shouldn’t copy your competitors, there is still a lot that you can learn from them, both from their mistakes and from their successes. Use what you learn from spying on your competitors’ social media to improve your own. Are you stretching yourself too thin? It could be that the cause of your diminishing social media presence is that you’re stretching yourself too thin, managing too many social media accounts and never having the time to give each one the attention it needs. It’s great if you have multiple accounts on different social networks; this way, you’re reaching a much larger audience. But if you don’t have the time to really manage each one, then it could do more harm than good to keep them all. 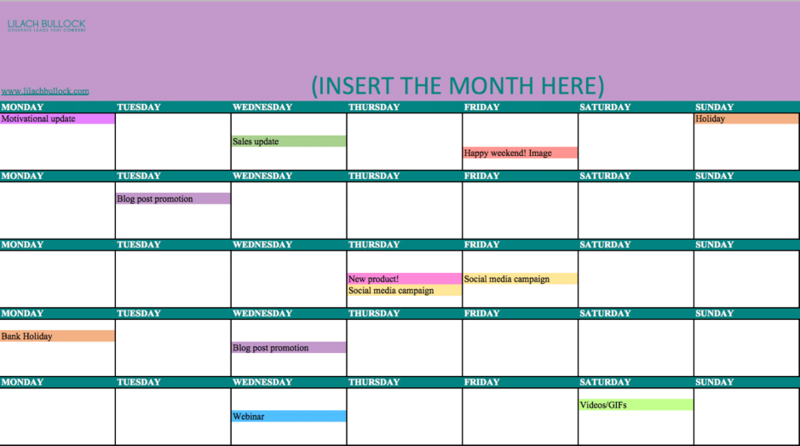 Or organise your social media marketing ahead of time and prepare your updates for the week in one go – you can use my social media calendar template for this. You’ll still need to be active and engage in real-time, but at least you’re preparing all your updates in one go. This will not only help you save time, but it will also allow you to create better, more thought-out and more strategic social media updates. There’s no point in having a social media account just for the sake of it; focus on the ones that generate you the most results, like leads generated, traffic to your website or blog and so on. This is something that can happen to anyone; social media takes time, attention and it also requires you to keep an ear to the ground to adopt the latest trends and developments. If this happens to you, just take a step back for a second, try to understand where you went wrong and then think strategically about how you can improve your social media presence in the future. So, start setting your goals, create updates that will help you achieve these goals and engage with other users. So long as you’re strategic and consistent with posting new updates and engaging, you’re on the right track to improving your social media presence. Analysis And Looking Up To The Competitors Are Good Ways..
Great article. I like the analytics and looking up competitors. I agree that the social media is a best and great place for businesses who want to promote their business online. It helps you to reach your audience and engage with them. excellent article Lilach, and thanks for showing the exact tips to drive more Traffic via social media as not its one of the most significant source for quality traffic as one can’t only rely on organic results forever. And yes Analysis and Looking at our’s competitor social presence and using the right hashtag and drive plenty of social Traffic. Thanks so much 🙂 Yes, quality traffic is so much more important than quantity. Traffic generation has changed so much since I first got into internet marketing back in the mid 2000’s you could spend 0.07 a click on Adwords and literally get 1000’s of quality users a day hitting your site and cashing in easy. I sure miss though days. Today Social media appears to be a great alternative for generating a good amount of traffic as long as your content is very interesting and people feel compelled to read it and share with their friends. Thanks Stephen 🙂 Oh wow, yes traffic generation has really changed and continues to evolve. Organic traffic is becoming harder so you really have to be much more creative! Social media is still a great way of driving traffic and engagement.